I just came back from an enjoyable trip, where I registered my 5th GP top 8 during my 30th birthday, got to play a sweet Modern Pro Tour and commentate at Grand Prix Toronto where we saw six different archetypes make the Top 8 that were not represented at the PT and a ton of exciting gameplay. 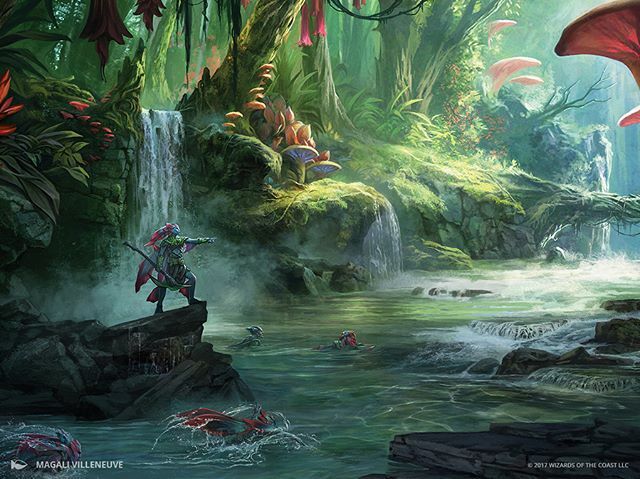 From my view, Modern had become the darling format that any CCG / TCG can aspire to – tons of archetypes, week-by-week deck decisions and innovation being rewarded, little consensus with a ton of debate, a wide variety of in-game situations and a people matching their personas with decks. Apart from minor weaknesses and its inability to boost the sales of the latest sets, it was as near-ideal as you can hope a competitive format to be – 9/10 rating. This section below was written on the 8th of February, to give my "before" view (no meaningful words were changed, but grammar/editorial edits may have occurred). It is my opinion that no card should come off or go on the Ban & Restricted Announcement at this time. 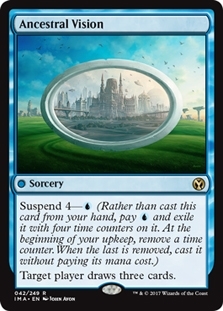 While there are "dangerous" or absolute cards present in Modern (Mox Opal, Mishra's Bauble and Ensnaring Bridge as examples), they are small enough sections of the metagame and would cripple their decks entirely upon a ban – with the exception of Mishra's Bauble. 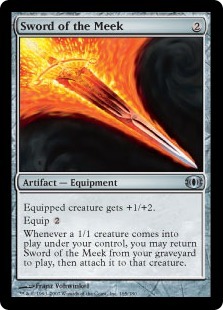 With neither Lantern or Affinity having a dominant win % or metagame share along with currently existing tools to fight them that Mox Opal is fine... for now. Things may change in the future – after all, it took years to get Amulet Bloom in its banned form. You'll notice again there are no cards I think should come off the ban list. However, here is the shortlist that other people have seriously mentioned or are near the lower end of power level, along with my notes on each card. This is the candidate that is most touted for coming off the list. Not hard to see why – It's a four mana, sorcery speed, card advantage creature. What good is that in the realm of fast kills and Collected Company? The answer comes from a card that did not exist at the time it was banned – Kolaghan's Command. 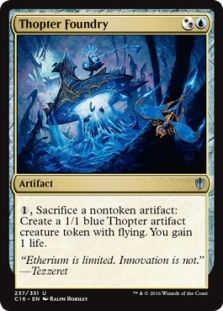 Essentially, the combination of Bloodbraid Elf and Kolaghan's Command means you can easily recur this creature and generate more and more value at an endless pace, with little means for your opponent to interact apart from going faster. You can tune the rest of your deck to be entirely about surviving and disrupting the early game and then just rely on this engine to take over afterward. If you dislike die-rolling in Modern, Bloodbraid Elf exacerbates the issue as the first person to get it online tends to be very far ahead. A 4-Color version using Noble Hierarch, Lingering Souls, Bloodbraid Elf and Kolaghan's Command seems easy enough to build but there's a myriad of multi-color midrange that would flourish. Another awkward issue is that Bloodbraid Elf makes your post board games even better, as you trim bad cards in a matchup and guarantee strong hits backed up by pressure. 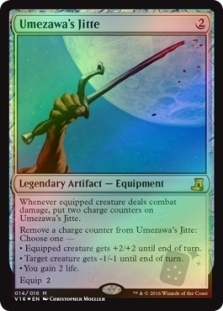 The argument for unbanning it is that it can spawn some cool Temur decks with Ancestral Visions and that the card is not so inherently powerful. The oppressive Elf + Command combo will lead to a unification of midrange decks, the death of artifact reliant decks (due to Kolaghan's Command) and the rise of Tron to combat its presence in the metagame. This is all leaving alone the fact that its effectiveness is due to random chance which leads to many feel bad moments. Mostly, Bloodbraid Elf will lead us down a path that will result in a more unhealthy and less enjoyable Modern metagame. 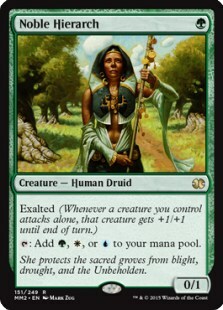 Dryad Arbor is the main rationale behind getting rid of this card – having a split Llanowar Elves / any utility green creature makes this card likely too powerful. That said, creature combo decks are in a weaker spot at the moment, so this could give them a positive boost. I think this is the most "ok" card to get off the ban list as decks with Collected Company and Chord of Calling may not necessarily play the effect as it only gets green creatures. Ultimately though, its flexibility is likely too much for the format. This would become the "de facto" win condition in blue decks - the requirement is to cast it and untap. Unlike Legacy, there are far more creature focused decks in Modern, meaning that a control deck maxing out on cheap spot removal into Jace would easily be a viable strategy. It would invalidate pretty much any deck without haste creatures or a maximum amount of disruption. I think people also forget how ludicrous the Brainstorm mode of the card is. 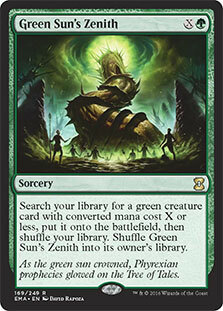 The fact you can even get it off Search for Azcanta makes the card filthy and best where it belongs – out of Modern. This is a card that would invalidate creature decks pretty much on its own, plus add time issues. 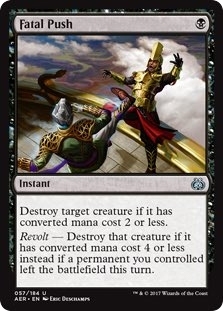 I think it's the harder card to unban out of any but graveyard hate + land destruction being both valid strategies mean that it would not be as oppressive as the first time. 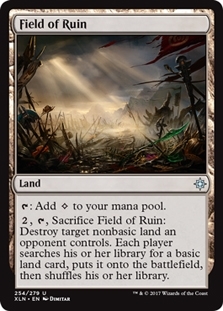 Field of Ruin helps dial down the power level of the card and the chance to see control mirrors boil down to 1RR – take one damage. It doesn't make for an enjoyable experience though, so I would recommend not affecting the format. While I love myself Splinter Twin, it is oppressive gameplay wise and forces opponents to waste mana and removal at the end of their turn on a horrible creature in far too many cases. It would be fine in Modern in my view but did not make for the most enjoyable game play on the other side of the table. 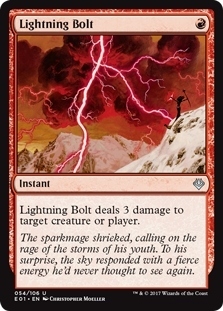 It's worth noting that the good performance of Madcap Experiment decks plus the UR Pyromancer deck at PT Rivals of Ixalan showcases that UR decks can still perform well, thanks to their core of Snapcaster Mage + Lightning Bolt. No need to give them the best possible combo as well. 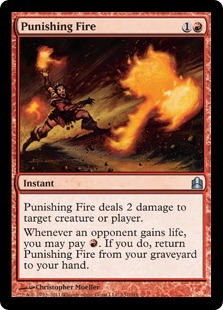 Why people think this card is ok to unban greatly surprises me. The main argument a lot of people have is that it's easy to kill Batterskull or Stoneforge Mystic anyways – Thoughtseize and Kolaghan's Command being the most cited examples. 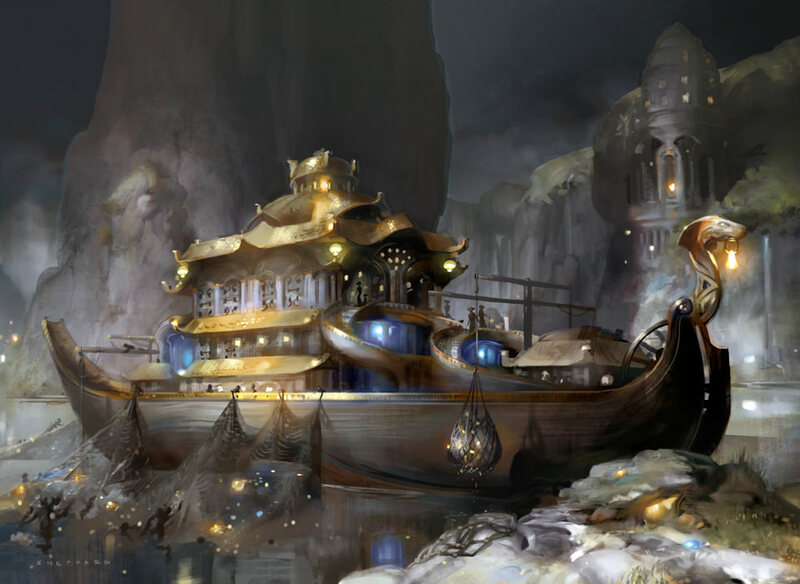 The issue is that the Mystic players only have to overlay 2 mana to be ahead in most cases, on top of the ability to tutor the right equipment for the situation – a Sword of Feast and Famine, Fire and Ice or Shadow and Light are bigger horrors in certain matchups. It would instantly slot in Shadow, midrange, control, AND disruption-aggro as the de-facto two drop threat of choice and invalidate cards that cannot interact with it efficiently. The fact that it lets you not tap out also make it a very efficient clock for combo decks to deal with. Facing a Control or Midrange deck with Stoneforge Mystic in post-board games is a horrible experience – you want to cut on removal and add threats, but then you automatically lose to Batterskull. This makes your deck substantially worse than your opponent's as you have to add so many conditional cards that are bad against their strategies, except against Stoneforge Mystic precisely. Not to mention that Thoughtseize + Stoneforge Mystic is one of the scariest openings possible at almost no cost to the wielder. Modern with Stoneforge Mystic is a format that will centralize much of the gameplay around this oppressive two drop and invalidate many strategies in the process. Out of the seven cards I separated in this list to talk about, this is the most dangerous card that Wizards could add to Modern due to its cheap mana cost and universal applications. I would not be shocked if the card were unbanned that it would become the most played card in Modern (many sideboards would love access to it as well). 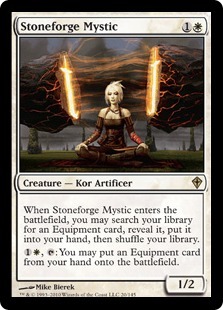 I haven't even talked about Thopter Foundry + Sword of the Meek loving the idea of Stoneforge Mystic being around. This is a deep and dangerous rabbit hole. The main issue with Jitte is that it's a card that slots in any deck and soul-Crushes aggro. It wouldn't necessarily be incredibly strong against the metagame at large, but it would hurt creature decks in far too oppressive a fashion and make creature mirrors devolve into whoever has the first active Jitte. Keeping this one banned for format enjoyment concerns, rather than absolute power level, is fair. I posted that Facebook message roughly two hours before the announcement. I was pretty certain that this was coming. I will point out that it is far, far better that they unbanned both of these cards rather than just one of them. They are natural enemies of each other, but Jace has the tools to fight Tron that Bloodbraid Elf doesn't have, avoiding an extremely warped metagame. It also leaves a larger deck building space to explore. I'm not even going to go with... "Why?" This decision cannot possibly help the format in the long run considering how popular and beloved Modern is at the moment. What I want to share is that this makes the format worse because it unifies many decks and shrinks the metagame severely. 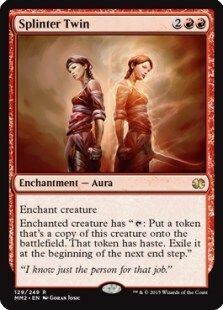 I think I will need a full article to really explore the deckbuilding possibility that both these cards unlock and, in truth, there will be a honeymoon period – 3-6 months where people will build a wide variety of decks and variants that will be cool to play because they will be as novel as they are un-tuned. This is what I call the Treasure Cruise / Dig Through Time honeymoon – a three-month period with a broken card is very enjoyable, especially when everyone knows that the card will go away. You are not likely to enjoy what happens next if you are a fan of the current format. Here is what I believe, in a short-term view, will occur. Bloodbraid Elf will pair with Kolaghan's Command. It will be challenging not to play a midrange deck that runs four copies of each of these cards, at least in the 75 (I can see Traverse Shadow going low to the ground game 1 and midranging up for games 2 and 3, as an example). The game plan – play as many one mana disruption as you can in the colors of your choice to buy time (Jund +) and rely on Bloodbraid Elf plus Kolaghan's Command to take over in the long game. In post-board games, enjoy the much higher frequency of your killer sideboard cards. 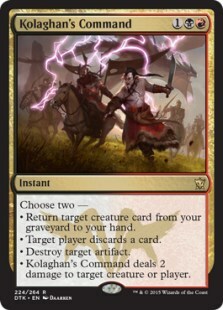 Mirrors will devolve into whoever draws the most Kolaghan's Command and Bloodbraid Elf, since almost no other card truly matters if you are grinding out post-board. Something like Hazoret, the Fervent could help until you realize that people can play Lingering Souls with Bloodbraid Elf. 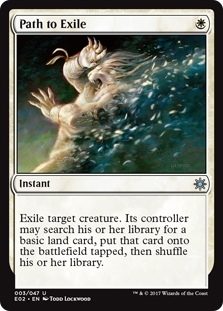 The gameplay with this card is also atrocious – competitive random effects in Magic are horrible because one player is usually unhappy. There was a long-standing movement to try to find what the best Ux control deck was, as well as the kill condition. 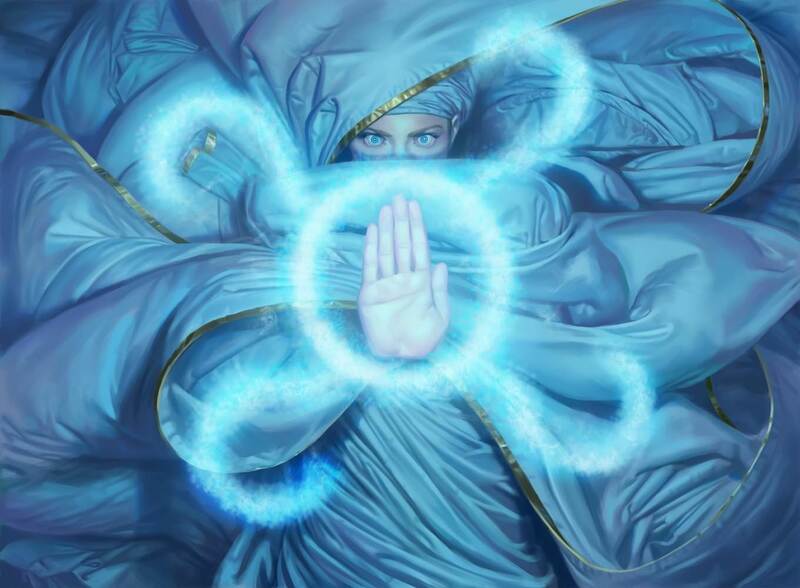 There was a swath of U/R decks, Jeskai, W/U Control and Grixis – a control player could choose their path to victory and have a large selection of strategy and tuning. That's going to end soon with every list starting 4 Jace, the Mind Sculptor and, probably, 2-3 Search for Azcanta. There will be tuning, for a bit, but it won't matter too much – it's going to be about Jace the whole way. Untapping with the card is close to guaranteeing winning the game in most circumstances. Again, as with Bloodbraid Elf, you choose the interaction – Path to Exile / Lightning Bolt / Fatal Push / Spreading Seas / Field of Ruin. Season to flavor but play 4 Jace, the Mind Sculptor as your card advantage source that doubles as a lock and win condition. 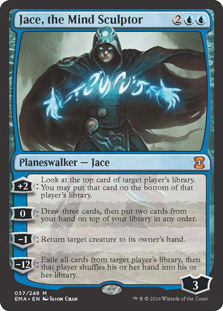 Also of note – Jace is even scarier in the Collected Company decks since it attacks from a different angle and gives their midrange plan far more weight. Even on my way back from the airport, a ton of ideas were in my head about even more ways to break these cards, but none of them are making the future of Modern look bright. Most low tier decks will extinguish as they cannot combat Bloodbraid Elf or Jace, the Mind Sculptor decks. Dispels due to Kolaghan's Command and to win counter-wars. This is a hot take, meaning that there is probably far more to scratch beneath the surface – I plan to analyze different directions you can take for Bloodbraid Elf / Jace, the Mind Sculptor. While I won't be playing much active Modern in the coming months, I still need to explore the format as Team Constructed Grand Prix are coming up, and I want to make sure our team submits as broken a deck as possible.